Here we are, the season finale of Grimm. Last week left us with a hankering for some more zombie carnage, the meeting of two Royal brothers, and the end of wimpy Juliette. If there is one thing I truly want to see this series kill off, it is the weak pathetic Juliette we have suffered through this season. I hope she is gone for good and we finally get to see her character get a backbone. That being said, Nick is back to having to date her again. Awkward date is awkward. They both seem to be having some trouble dealing with Juliette's new found knowledge of Nick's alternate life. They soon work through it and proceed to the making out stage. In fact, there's a lot of magic making going on. Mr. Top Hat, the Cracher-Mortel is working some voodoo hoodoo on his new zombie friends. Frau Pech is mixing up her own type of voodoo over in Austria. And Monroe and Rosalee have some pie and then work a little bit of a more personal magic since Nick's not at home. So, let's deal with the European contingent first and then jump over to the impending zombie apocalypse of Portland. Oh fun, Frau Pech has paid off the bellboy in Adalind's hotel to drug her with the potion she was making earlier. Once the preggers ex-hexenbeist is asleep, she sticks a needle in her neck and pulls some essence o' Adalind out. She then injects it into a bottle marked “Doppleganger” and drinks it down. This works as advertised, and she immediately transforms into Adalind while Adalind takes on her old wrinkly appearance. Apparently, she got there just in time for the Gypsy Queen to call with a solution regarding old Frau Pech. The newly-disguised Frau heads over to the gypsy camp to learn the plan, but it's all a trap. Queenie tricks her and cuts out her heart. As she does this, Frau Pech gets her old wrinkly face back, while the unconscious Adalind gets her young one back. Adalind wakes to see the old hexenbeist's clothes discarded on the floor and smiles. “Ding dong the witch is dead and another one is coming back” she smirks. 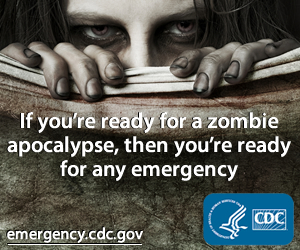 The zombies have, meanwhile, taken to running loose in Portland. Apparently, it takes the police a while to notice though. This is how the apocalypse begins people! Incidentally, these zombies don't appear to be biters; they just beat the crap out of people and smash things. How disappointing. Renard calls Nick into his office to fill him in on Eric's visit. He even lets him listen in when Eric calls to setup a meeting. Fortunately, the police have finally noticed the zombies running loose and Wu interrupts asking for some help. He and Nick head off to the scene of one of the 911 calls, where Wu gets bit by a zombie chick. She manages to fall through the second floor window during a scuffle with Nick. Don't worry, she promptly gets up and starts beating up a few more cops on the street. As Nick watches from the window he is attacked by yet another one of the zombie people. He manages to knock this one out and gets Hank to help sneak him off to the Spice Shop. They handcuff him to Rosalee's steel framed bed. Eww. Rosalee of course quickly finds a cure in one of her books. They aren't really zombies. I'm sad. They aren't dead, but the trance they've been put in goes through four stages, the last one is the violent crazy one. Unfortunately, the cure is only effective in the last stage and it must be administered by the biggest 3 needle steampunked syringe you've ever imagined. Ouch! Eric and Renard finally have their meeting. It's the first time they've seen each other since Renard was 13 and Eric's mother tried to have him killed. Exciting times! Well, Eric lays on some pretty thick crap about how the family wants him back and has decided to give him a little more time to get the Key from the Grimm. Renard's not buying it and tells him he'll think about it and leaves while Eric smirkingly gnaws on some squab. Nick, Hank and Wu find the car of one of Mr. Top Hat's victims. They look in the trunk and find a bunch of voodoo implements. Wu crack that it looks like a party, but not one he wants to be invited to. You and me both, Wu. You and me both. 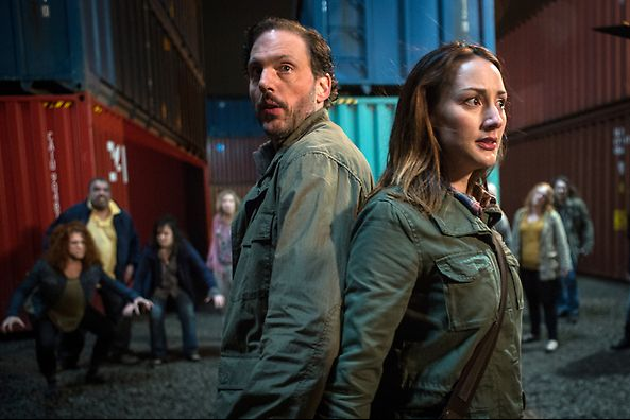 While Monroe and Rosalee watch over their zombie victim, Nick goes over to Juliette's for dinner. This hardly seems fair, but I guess he is the boss. Sort of. She asks how his day went, and she wants the real truth this time. So he tells her all about his new crappy wesen zombie case. I think she likes zombies too, because she tells him that he can move back into the house. But as usual, Monroe calls. Mr. Formerly A Zombie appears to be cured by Rosalee's concoction. Nick decides to head over there and Juliette demands to come along. She is tired of sitting home. Yay! I hope we are done with wimpy whiny Juliette! Nick interviews Al, the former zombie and confirms that Mr. Top Hat was the one who kidnapped him. From his memories, it appears that he was being kept in the container yard across from where his car was found. Juliette insists on helping and they figure that since she's a veterinarian she should be good at giving shots. As they arrive at the yard, Top Hat is watching and lets his zombie pets loose. The group is shortly attacked and overwhelmed by the sheer numbers of lunatic zombies. 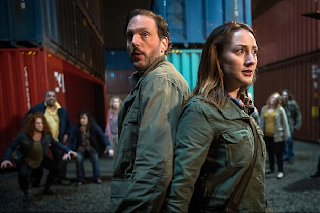 While Monroe, Rosalee and Juliette make a run for it, Nick heads off looking for the Cracher-Mortel. He quickly views him perched on top of one of the containers and the chase is on with Top Hat cackling all the while. For an old man, he sure fights pretty well. But alas, Nick has walked into a trap. While he is searching inside one of the containers, he finds one of Eric's fake passports. Only this one has his face on it. As he looks up, the Cracher-Mortel spits his green juice in his face and it's lights out for Nick. And that concludes Season 3 of Grimm. It's nice to see some humor there at the end as they leave us with yet another cliffhanger to ponder. Thankfully, Grimm is getting its Friday time slot back next season!